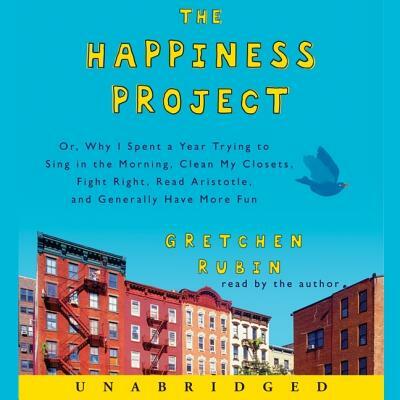 Award-winning author Gretchen Rubin is back with a bang, with The Happiness Project. The author of the bestselling 40 Ways to Look at Winston Churchill has produced a work that is "a cross between the Dalai Lama's The Art of Happiness and Elizabeth Gilbert's Eat, Pray, Love." (Sonya Lyubomirsky, author of The How of Happiness: A Scientific Approach to Getting the Life You Want) In the vein of Julie and Julia, The Happiness Project describes one person's year-long attempt to discover what leads to true contentment. Drawing at once on cutting-edge science, classical philosophy, and real-world applicability, Rubin has written an engaging, eminently relatable chronicle of transformation. As an added bonus, this recording includes a sampling of Gretchen's podcast, Happier With Gretchen Rubin. In this episode, Choose the Bigger Life, Gretchen and her sister, Elizabeth Craft, discuss happiness, good habits, and whether Gretchen is going to get a dog.